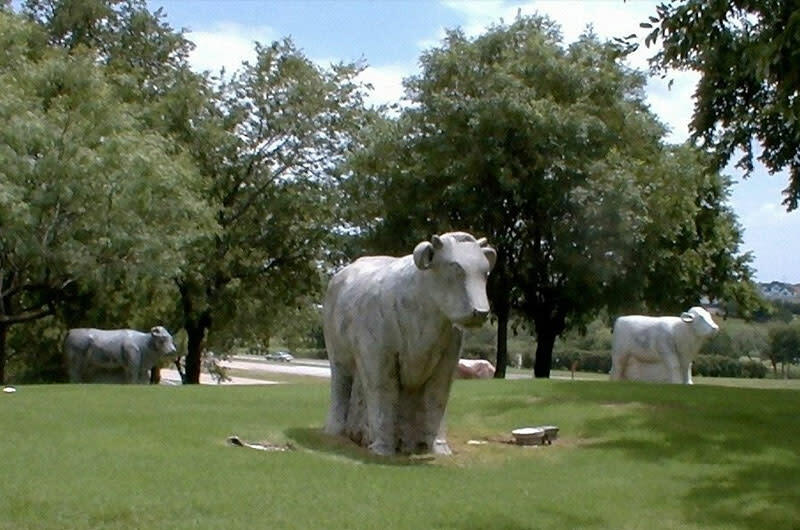 Located just down the street from the Mustangs at Las Colinas sculpture and museum are the Marble Cow Sculptures, at Highway 114 at Rochelle Road, Irving, TX. Situated atop Bluebonnet Hill, the Marble Cow Sculpture stands as a memory of the Las Colinas ("the hills") ranch lands that were once a predominant feature of the area. The monument features five marble cows which were designed and sculpted by artist Harold Clayton. There is no admission fee for the sculpture.